GK Productivity aims to bring in sustainability for the community by harnessing its residents for small to mid-scale enterprises. It aims to create wealth by helping the community produce world-class products and services, enabled by private-public partnerships where rich and poor can work together to build a strong middle class. Economic development in the Philippines has left a majority of our countrymen behind. The country has not moved forward in innovation and production, and instead, has increasingly relied on importing almost everything and exporting Filipino workers. GK residents are like diamonds in the rough whose great potential is simply waiting to be developed. 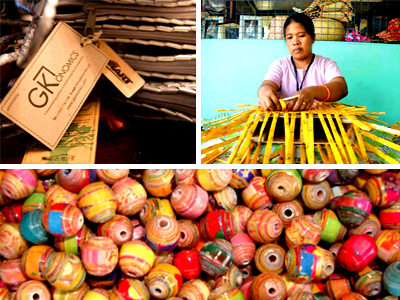 With the help of partners, caretaker teams and volunteers who share their expertise and time to guide these residents, many of our existing GK communities have come up with their own enterprises.